Flag carier Royal Jordanian celebrated its 55th anniversary today in style by offering customers an exceptional, online sales promo with 55 per cent off on all its destinations across the globe. The offer was valid for only 24 hours under which travellers could book their tickets on RJ’s global route network at very attractive fares, for travel to take place next year between January 11 and May 22, with the exception of Easter time, between April 12 and May 5. 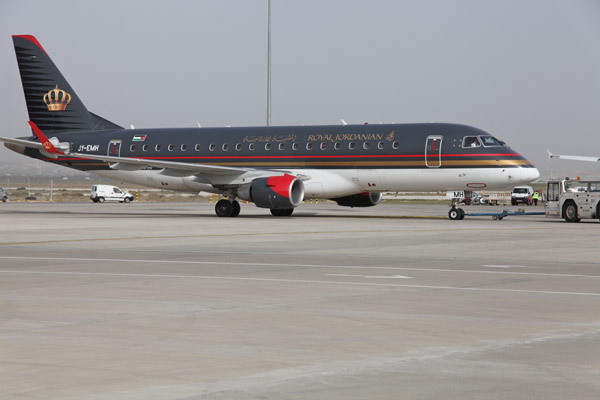 Those taking advantage of this sales promo can enjoy a maximum stay of 30 days and a minimum stay of three days at their destinations, said a statement from Royal Jordanian. This one-day sales campaign also gave Royal Club members the possibility to add a percentage of tier miles and flight segments to their accounts, part of the added benefits offered by the new Royal Club program, it stated.